BobCat ROM for Nexus 5! ~ AndroidRootz.com | Source for Android Rooting, ROMS, Tricks and More! BobCat ROM for Nexus 5! 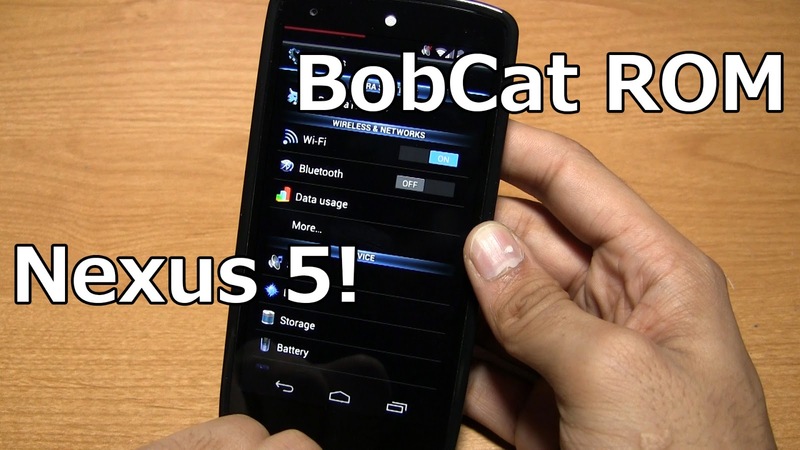 BobCat ROM has been known to be available on other major flagship devices like the Galaxy S4 and Note 3, now it's also available on the Nexus 5! With a usual AOSP ROM you usually don't get a theme to it and that can get boring after awhile, thankfully this ROM has one! This ROM includes a black and blue theme throughout the majority of the UI, including the quick settings, settings, and certain apps. BobCat ROM also includes a bunch of setting mods and tweaks to improve the experience of your Nexus 5! Mod and tweaks like Greenify, status bar features, notification options, CPU activity, and a few other features too! Be sure to try out BobCat ROM for the Nexus 5 is you like a themed up phone and a bunch of tweaks with it too! Download BobCat ROM for Nexus 5 using the link below!